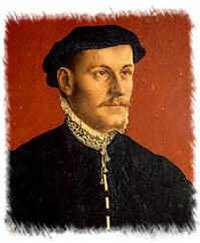 Felipe E. Vizcarrondo, M.D., M.A. 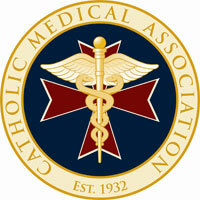 The Catholic Medical Association is a national, physician-led community of healthcare professionals that informs, organizes, and inspires its members, in steadfast fidelity to the teachings of the Catholic Church, to uphold the principles of the Catholic faith in the science and practice of medicine. Their goal is to inspire physicians to imitate Jesus Christ. The Miami Guild is open to medical professionals as well as medical students. Members meet every other month. One of their activities is an annual Hippocratic Oath Mass where all physicians and medical students present take the Catholic Hippocratic Oath. An association of Catholic lawyers in Miami-Dade County dedicated to fostering spiritual growth and fellowship among Catholic lawyers, judges, law students and others involved in the legal profession; enhancing appreciation for and observance of high ethical standards in the practice of law; and encouraging attentiveness among legal practitioners to the weightier matters of the law justice, mercy and faith; so that their competence in secular disciplines may serve to promote human dignity and the common good, to the glory of God. Sponsors an annual Red Mass at Gesu Church, where members meet the third Friday of every month after the noon Mass. An organization of Catholic lawyers in the South Florida community, founded in 1989, and dedicated to the advancement of the principles of St. Thomas More, the patron saint of lawyers and politicians. Each year the Society sponsors The Red Mass, a traditional Roman Catholic ceremony with a long and rich history, at St. Anthony Church in Fort Lauderdale, Florida, as well as a reception and banquet following the Mass at a Fort Lauderdale hotel.